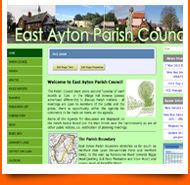 Been put in charge of setting up a website for your Parish Council? 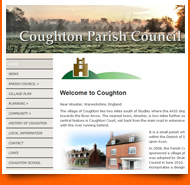 And other useful pages include a Guestbook where visitors can leave public messages, a Classified Ads page where people in your community can advertise items for sale, and a Blog page which will let you publish articles which your visitors can leave comments on. And all with an easy-to-use online admin system. 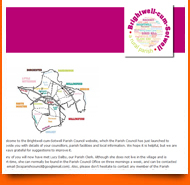 Sign Up now for your FREE Parish Council website.